1 Bring the orange juice to a boil in a small saucepan and cook until rreduced by 1/3. 2 Transfer reduced orange juice to a bowl, add the mustard and vinegar and season with salt and pepper. Reserve a few raspberries for garnish. Add the remaining raspberries to the orange-juice mixture, mashing slightly. Slowly whisk in the oil until emulsified. 3 Wash the romaine and radicchio and spin dry. Cut into bite-size pieces. 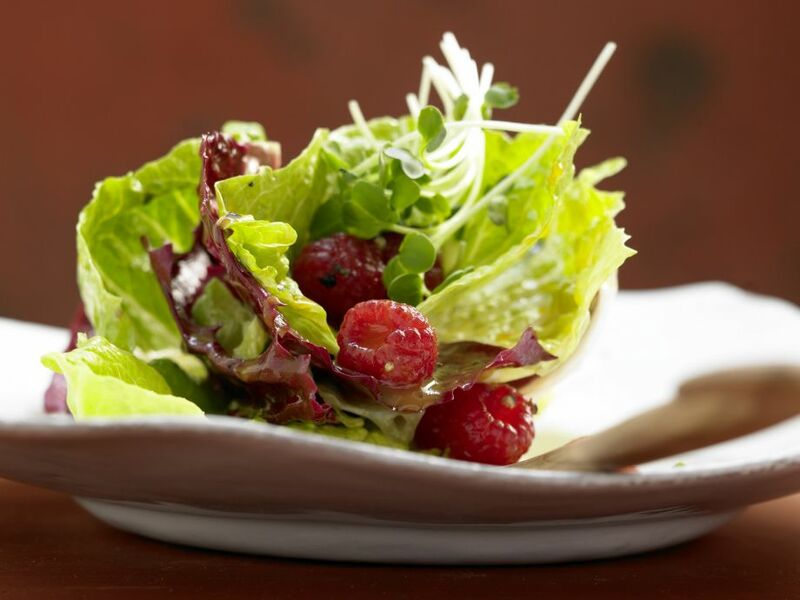 Place in a bowl and drizzle with raspberry dressing. Garnish with reserved raspberries and serve.